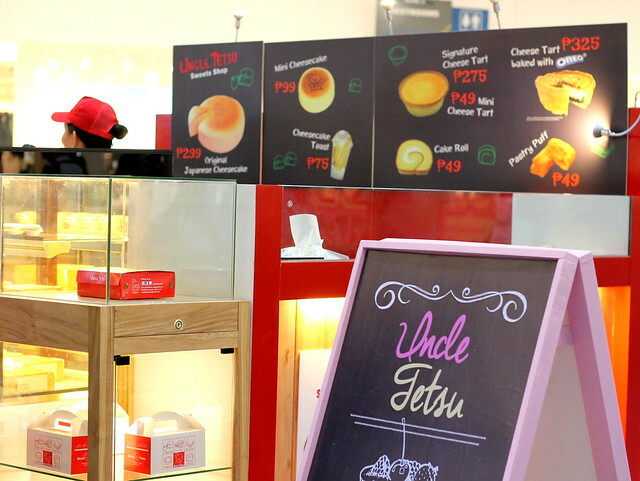 I previously blogged about Uncle Tetsu opening a store in SM Mall of Asia (Uncle Tetsu opens in MOA with New Lineup of Spreads and Toppings). 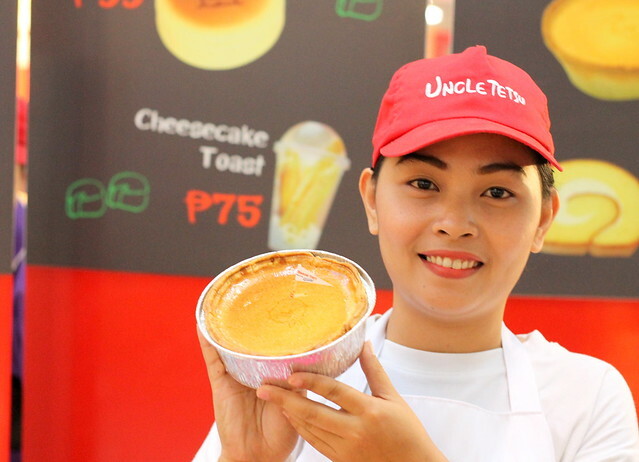 The long lines have not been cleared yet but our favorite Japanese cheesecake brand came up with another dessert that will delight us all - the Uncle Tetsu Cheese Tart Baked with Oreo. We've seen Oreo, a popular sandwich cookie with chocolate wafers and sweet creme filling in between (Who doesn't know Oreo? ), being incorporated in several food items like ice cream and cakes. Now, we'll see it fused in a cheese tart. 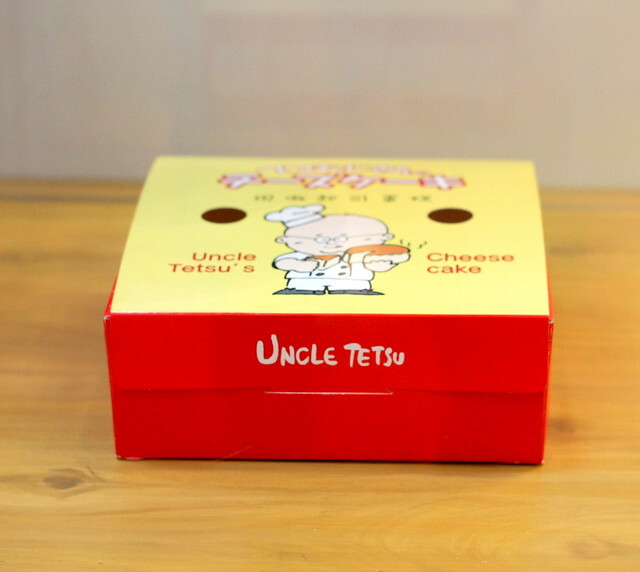 Yep, the heavenly combination of Oreo and cheese is possible after all made extremely special for you by Uncle Tetsu! 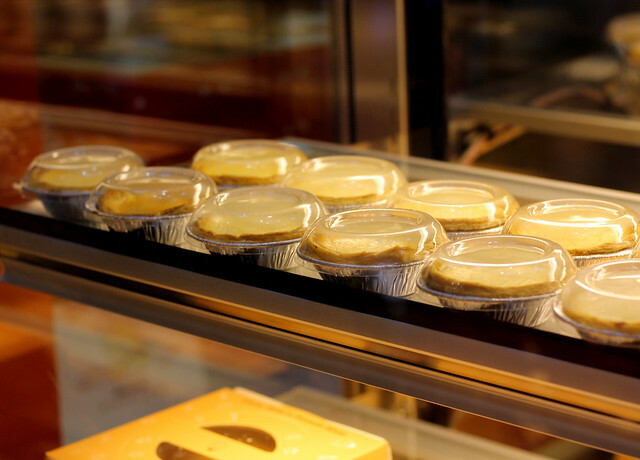 The 15.5 cm-diameter tart cake costs PhP325. That's a little price to pay for a dessert this decadent. 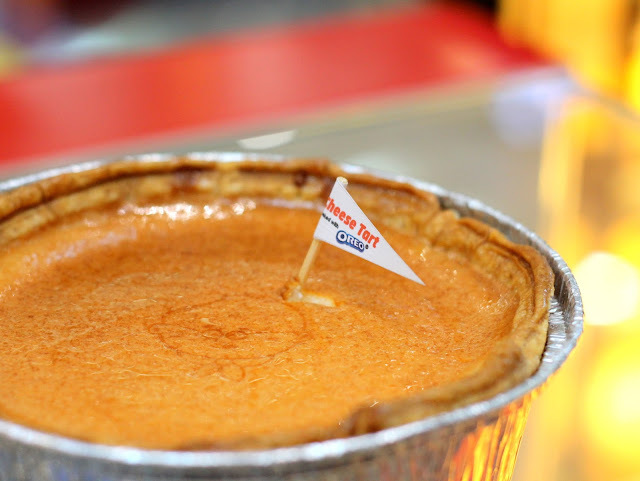 If you want to try another variant, Uncle Tetsu has also introduced the Signature Cheese Tart which is available in the same size for only PhP275. 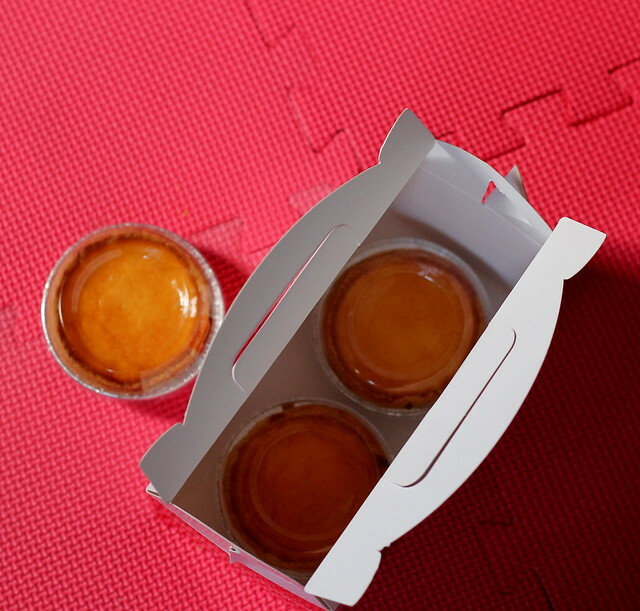 For little portions, the mini cheese tarts are available for PhP49 per piece and for PhP180 for a box of four. It's just barely seven month ago when Uncle Tetsu opened in MOA. Now, you can buy your favorite Japanese cheesecakes at the Upper Ground Level of Building A in SM Megamall, at the Upper Ground Floor Annex in SM City Fairview, beside the Information Booth at SM City San Lazaro, at the 2nd floor of The Podium and at the Ground Floor of the New Wing of Alabang Town Center. 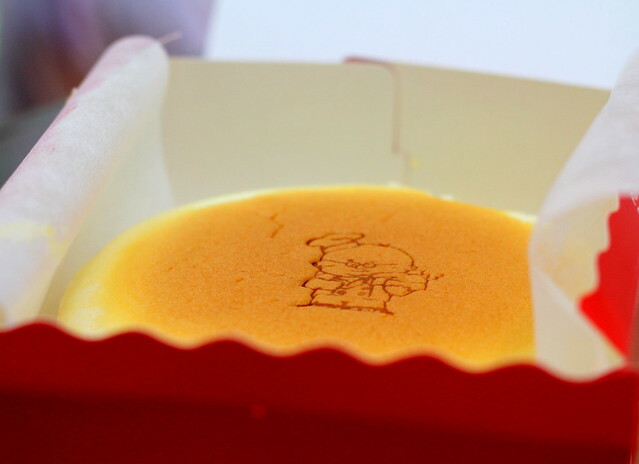 From August 1 to 31, however, you can enjoy Uncle Tetsu's treats at the SM North Cheesecake Festival. The Cheesecake Festival is like the New Year party of cheesecake lovers. 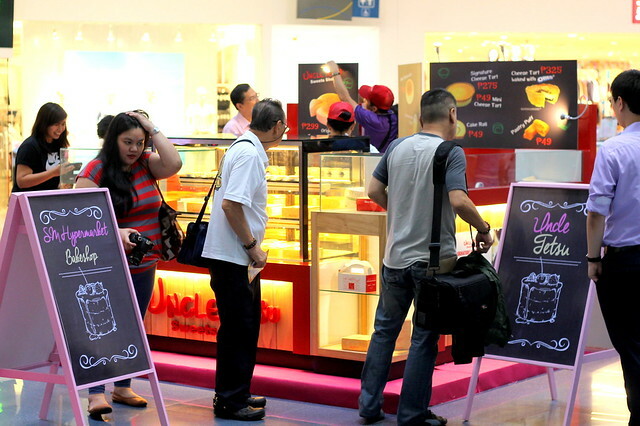 You'll get to see and taste (of course) the best of cheesecakes from Tous Les Jours, Banapple, Krispy Kreme and the cheesecake shop of the hour, Uncle Tetsu among a dozen of other concessionaires. Their cute kiosks are stationed at the Atrium of SM North - The Block. 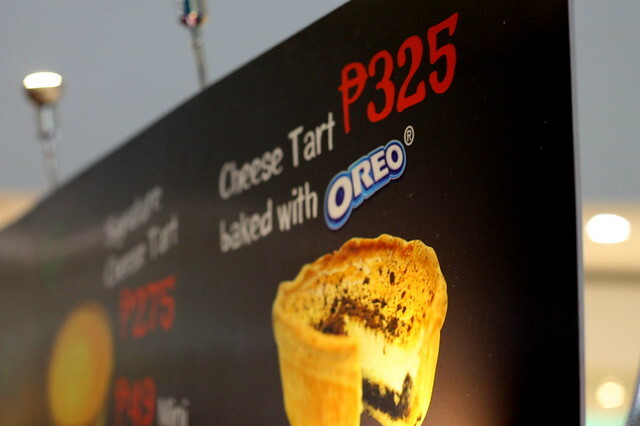 Aside from the new Uncle Tetsu Cheese Tart baked with Oreo, the Original Japanese Cheesecake (PhP299) is also available at the fair. Other offering from the Uncle Tetsu Sweets Shop which you can take home from the Cheesecake Festival are the cheesecake toast (PhP75), the cheesecake roll (PhP49), and the pastry puff. If you're on your way to the Cheesecake Festival at SM North- The Block Atrium, hold your sweet tooth loves. The resisting is not gonna be easy. Come visit Uncle Tetsu Sweet Shop's booth first. The right amount of sweetness in their products and the perfect taste or the Oreo and cheese combo will set your ready for the next desserts that you'll taste.